Even now, several months after the goal that some have called “historical”, I still have no words to express how I felt at the 116th minute of the Europa League semi-final in Salzburg (on May 4, 2018, full-time score 2-1). What I can say is that it was both incredible and unforgettable. Probably the strongest emotion I’ve had after scoring a goal. I also felt immensely proud. Proud for my club at that time, and proud for me, for getting the chance to play another European final in my career. And finally, proud for my children. 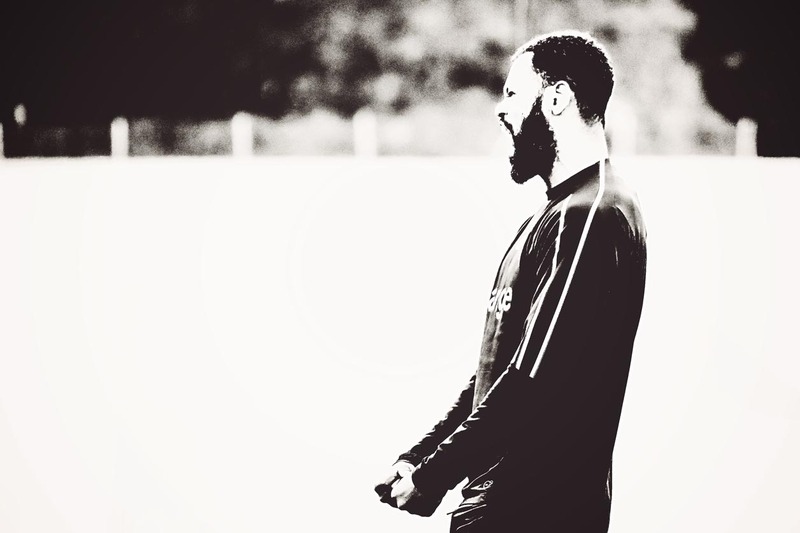 Rolando’s cry for victory even in training. When I was a small kid, and my teacher would ask me what I would like to do when I grow up, I’d always answer: “I want to be a professional footballer”. I was born in Cape Verde. Soon after, my mother went to Spain to work and send money to us. I stayed in Africa with my grandparents who raised me. My dad was there, but we did not have any connection, really. At my grandparents’, I was happy but it was not easy every day. So many of us were living there, including my uncles, who I treated like my own brothers. My grandparents had ten children! We had food on the table, but that was pretty much it. It was really tough, but if I had to do it all over again, I’d do it again without a doubt. You have to know that Cape Verde is not a well-structured country for football. There are not many opportunities for kids to play football, and professional football is practically nonexistent there. To make it in football, one must go to Portugal. But how many young kids from Cape Verde fail… It’s like an impossible dream. I listened to my grandmother: I worked hard at school, and luckily I found an opportunity to fulfill my dream. 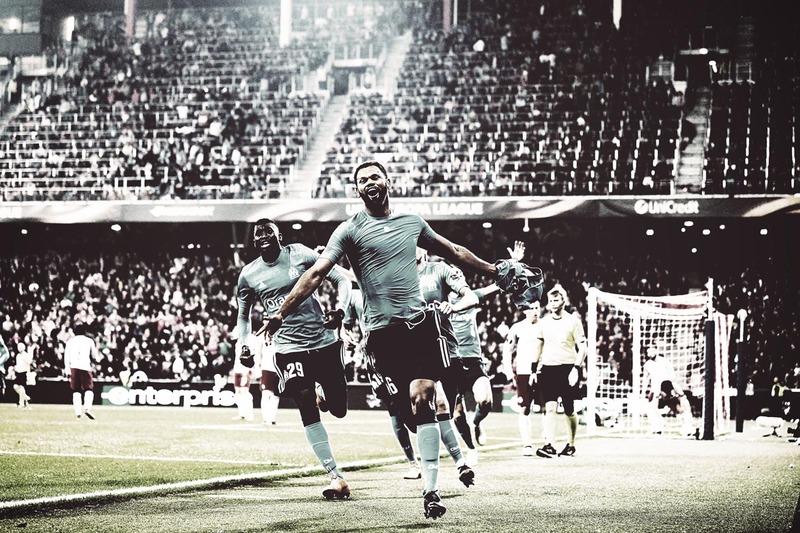 Rolando’s joy, as he has just sent OM to the UEFA Europa League final, thanks to his famous goal against Red Bull Salzburg. 02| If you do not say that, you will not play ! I signed my first professional contract, which was an important step. But it was not enough: what I really wanted above all, was to get on the football pitch, and finally be able to say “I am a professional footballer”! I was coming from the U19-team. My coach told me one day: “I’ll take you to go to the press conference this week”, without telling me anything else. I was a bit shocked since that was all new to me, but the coach told me: “Do not worry. The press just want to know if you think you’ll play or not. So you’ll just answer: ‘yes, I’ll play’. If you can say that, you’ll play. If not, you won’t play! I followed my coach’s instructions in front of the reporters, who were surprised by my answer… And on August 27, 2004, I was starting my first game of the season, my very first official match as a professional footballer: Belenenses vs. Maritimo. We won 1-0. I scored the winner myself! That’s why this moment is the most important in my life as a professional player, because after so many years of sacrifices, perseverance, courage, struggle… I made my one dream come true. That goal in Salzburg, anyway, changed my career. Not just my career here at Olympique de Marseille, but my career as a professional player above all. I’m a defender: I’m not supposed to be creating chances on goal. If I’m honest it may happen 2, 3, or a maximum of 4 times in a match. Since then, some people compare me to Basile Boli and his goal against AC Milan in Munich in 1993… but that’s not the same at all! Boli played the Champions League final, the top of the top in football. When I arrived to Marseille, I was told about Basile Boli, and today I am honored to have entered in the history of such a big club like Olympique de Marseille. That’s great. Especially for my children who, that evening of May 2018, felt so proud of their dad. 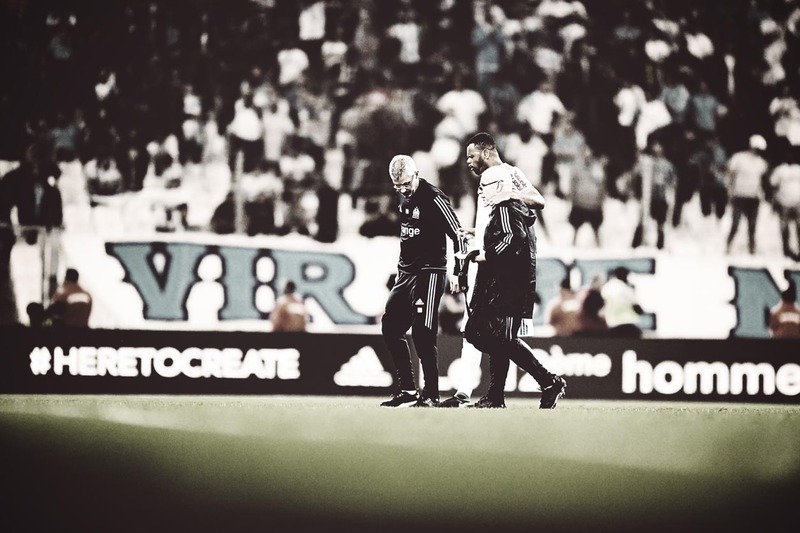 A few days later, I got injured (May 17, 2108, OM vs. Amiens, 38th minute). Football can be so exhilarating one minute and so cruel the next. That’s the way it is. In my career, I may have missed two or three matches in a row, tops. I had never experienced being injured for such a long period of time. I knew I was not perfectly fit. I knew it was the last game of the season but I promised my kids that we would go together on the football pitch, because we had missed the chance of doing that during my first few seasons at the club, since I was systematically suspended for the last match of the season! And they had seen the other players of the team coming out with their kids, so I owed it to them, even though I was not at the top of my physical abilities. Then the match started. I was feeling OK. No pain, no discomfort, no problem. I just had spent two months going through recurring issues, therefore I wasn’t pushing to hard either. I was just focusing on playing well. I responded: “Yes, of course I’ll stay, I’m fine!”. In the locker room, I could finally understand how serious my injury was. The doc explained that I had torn my tendon: 6 months out! For the first time in my career! What was I going to do during that extremely long period on the sideline? But I can say today that everything went very well. I could actually spend some quality time with my children and my family. It was a strong sign from the club. I felt it as a form of reward for the hard work and the commitment that I had shown every day in training, during every match, helping my team and always doing my best for the club. 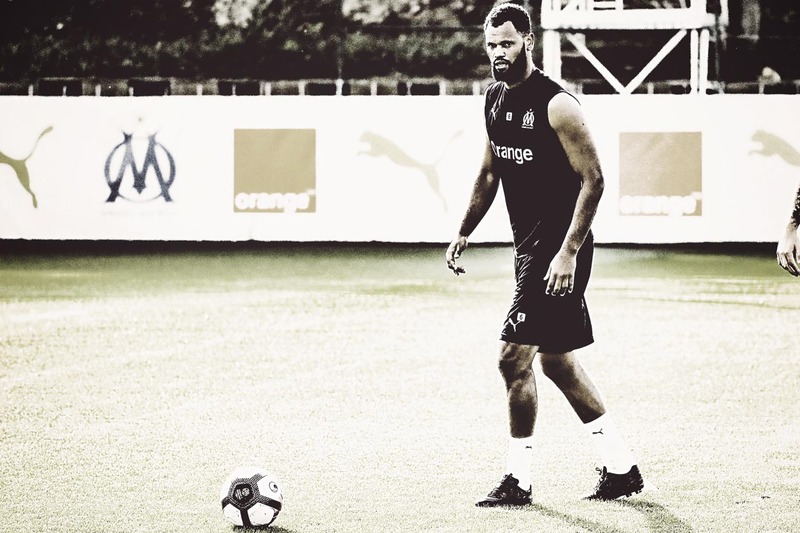 Rolando can see the end of his nightmare after 6 months spent without playing football. OM’s version of “The Rock” is on his way back. I spent the beginning of the season all by myself. I worked very hard to come back as quickly as possible. I could follow what was going on in the group too. I was never very far away. For example, we have two WhatsApp groups: one for workouts with Rani Berbachi [OM’s Sports Coordinator] to share day-to-day practical information such as “meeting at so-and-so o’clock, training session later, etc.”. And a separate group between players only, we exchange private messages! I was taking it easy, even though I couldn’t really share how my teammates were feeling. I was more like a fan back then! I worked by myself, separate from the group. That was very difficult. Probably the most difficult. I would arrive two hours before everyone else, and would finish training well after everybody had left the training center. I was looking at my friends training, playing football, scoring goals, etc. As for me, I was only going through exercises to recover and build up to come back. It was hell!… Every day was just about: running, running, and again running. I could see the light at the end of the tunnel… But day after day, sometimes it was going away, some other times it was getting nearer…. There was no way I could have gone through anything different, since the goal was to recover all my sensations for my body to recover its potential, and to be able to function normally, like before the injury. I knew it was the only way to come back to the football grounds. To have fun again. To do my job as a professional footballer: defend well and perform at the highest level. I remember when the medical staff gave me the “all clear” and said: “You’re good, now you can go train normally with the others”. For a spit second, I saw in my head all those days when, after the surgery, I wasn’t even able to walk, to drive, to go and pick up my kids at school. Wearing a huge boot over my leg. I did miss playing football. I missed my job. My job, as I say all the time, is to defend well. I make mistakes, like everyone else, I’m not perfect, both on the pitch and in real life, but that’s how one learns and progresses. That’s what I tell the young players. I do not consider myself a model because I still make mistakes. I often repeated that to “Little” Boubacar Kamara, who was only 15 when he joined the professional group. Today, he’s not a kid any more. I saw all the progress he has made, and that makes me proud. He listens to everything you say to him. He has many qualities but he must continue to work hard to make it. I know that, in a few years, when I will be a retired footballer, I will come to see him play in a big stadium for a very big club!